The Planeswalker Sarkhan Vol has been on a long, strange trip, and the world of Tarkir has come along for the ride. Next week, we'll turn the camera away from Sarkhan and Tarkir for the time being, so now is the perfect time to look back on this storyline. In this article, we'll summarize the story of Tarkir block and link to all the pieces of official fiction where it unfolded, so you can go back and read all of it, or just follow along with the summary. We've tagged stories essential to understanding the plotline of Tarkir block with the word "PLOTLINE," but many non-plotline stories contain additional insights about the characters and cultures that shape the plot. Arriving on his homeworld for the first time in years, Sarkhan reflects on his youth and on all that has happened since. He recalls his departure from Tarkir many years ago, following a disastrous battle that earned him the enmity of the Mardu khan, Zurgo Helmsmasher. He thinks back on his time on Zendikar under the thrall of Nicol Bolas (previously shown in the Planeswalker webcomics Journey to the Eye, Awakenings, and Enter the Eldrazi), and ponders the hedron shard he now carries as a memento of that visit. Finally, he speaks to the voice that now haunts his mind—Ugin, the Spirit Dragon (the ghost of a long-dead dragon), who urges him to "find the doorway." He sets out for the mountains, vowing "I will make us strong again." 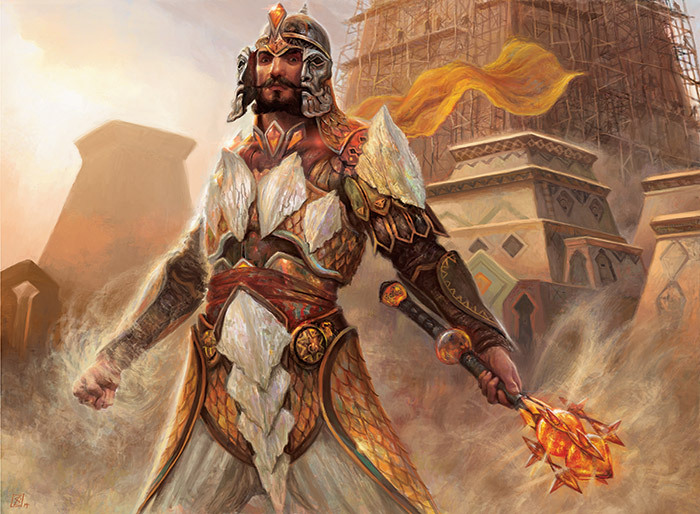 The first installment of the Khans of Tarkir Planeswalker's Guide contains an introduction to the Tarkir of Sarkhan's birth and sections on the Abzan, Jeskai, and Sultai clans. The second installment of the Khans of Tarkir Planeswalker's Guide contains sections on the Mardu and Temur clans, as well as a section on Tarkir's Planeswalker visitors. 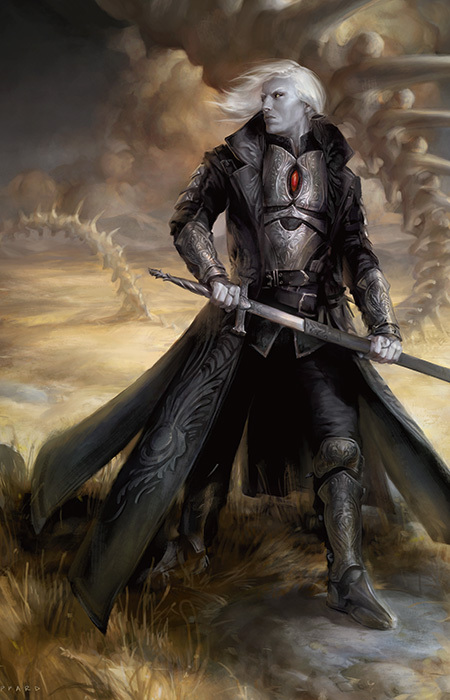 Like Sarkhan, Sorin Markov of Innistrad, vampire Planeswalker, has come to Tarkir in search of something. Though neither of them knows about the other, Sorin and Sarkhan are both looking for Ugin. Thousands of years ago, Sorin, Ugin, and a Planeswalker called the Lithomancer locked away the monstrous Eldrazi on Zendikar. Now they're free, and Sorin seeks Ugin's help to stop them. After arriving on Tarkir, Sorin fights his way through a party of Temur hunters, turning one of them into a vampire guide. 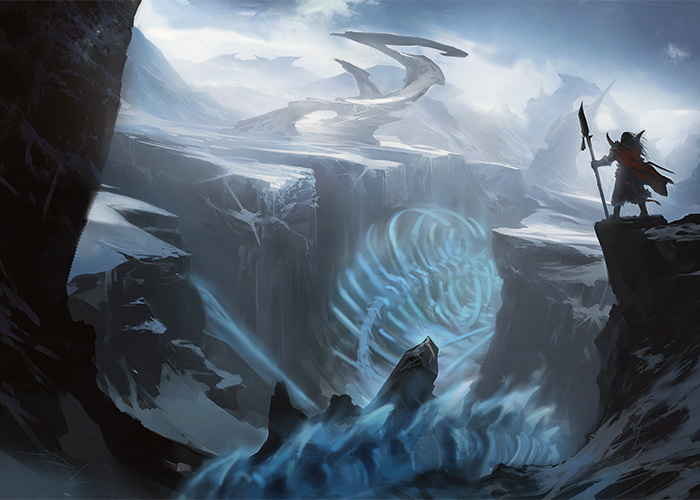 His thrall shows him the way to the Spirit Dragon's domain, a canyon that's home to a swirling vortex of energy. At the bottom of the canyon, Sorin's worst fears are confirmed: Ugin is long since dead, and Sorin concludes that the Multiverse is doomed. In the skies of Tarkir, a battle unfolds between a Jeskai mantis rider and a predator of the peaks. Narset is the khan of the Jeskai. Although younger than the other Jeskai elders, she leads her people against the other clans. Life on Tarkir is difficult and it takes its toll on Narset, as it does on everyone else—she just has practice at hiding it. She seeks to bring peace to the clan, and studies Tarkir's history for the answer. Six thousand years ago, and far from Tarkir, a drama unfolds that will lead directly to both Sarkhan's and Sorin's quests on Tarkir. The kor Nahiri—none other than the Lithomancer herself—fights alongside Sorin to defend an unknown plane from the predations of monstrosities that seek to devour it. They fail, and this unknown plane is destroyed with all its inhabitants. Soon after, they are joined on Zendikar by Ugin, an acquaintance of Sorin, who explains the nature of the threat: these are the Eldrazi, and Ugin needs Sorin and Nahiri's help to imprison them. 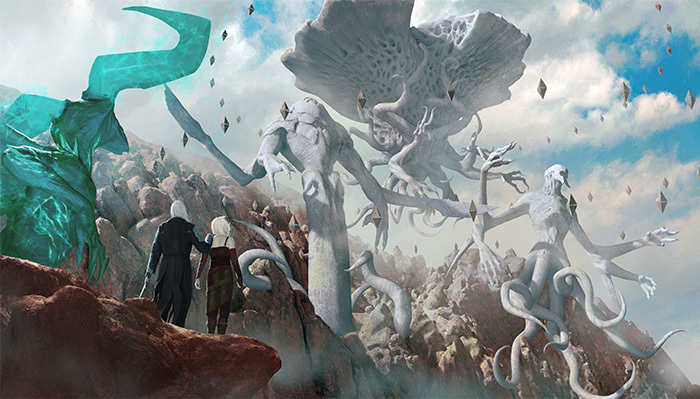 Although skeptical of Ugin and his plan, Nahiri ultimately agrees to use her home plane of Zendikar as a cage to imprison the Eldrazi titans Emrakul, Ulamog, and Kozilek. The trap is sprung, the titans are subdued, and Nahiri settles in for a long vigil to keep them imprisoned. This story marked the first appearance in narrative of both Nahiri and Ugin. The Mardu emphasize speed, moving fast and striking hard, to seize the spoils of victory. The Abzan believe in endurance, outlasting their opponents and fighting to be the last ones standing. In this story, we get a glimpse into the minds of Mardu and Abzan patrol leaders as they prepare their troops for battle…. Sultai khan Sidisi plots vengeance against a very particular goblin, all while fighting off another in an ongoing string of assassination attempts. Back on Tarkir, and back in the present, Mardu khan Zurgo Helmsmasher leads his troops into battle along the Temur frontier. When he learns that his hated enemy, Sarkhan Vol, has recently been spotted, he mobilizes his entire army to follow into Temur lands. But when Temur resistance proves greater than anticipated, the Mardu refuse to follow Zurgo on a personal quest for revenge. Zurgo's command is challenged, and he kills the challenger, but there is nothing left to salvage—he has already lost their allegiance. Mad with rage, Zurgo sets off into the mountains alone to find Sarkhan Vol and exact his revenge. Anafenza was not always leader of the Abzan. In this story, she ascends to the Amber Throne as khan, and takes long-planned vengeance on a kinsman who wronged her. We return to Sarkhan's story to find him nearing his destination, driven onward by the ghost of Ugin. Meanwhile, the Jeskai khan Narset journeys into the mountains on a search for enlightenment. 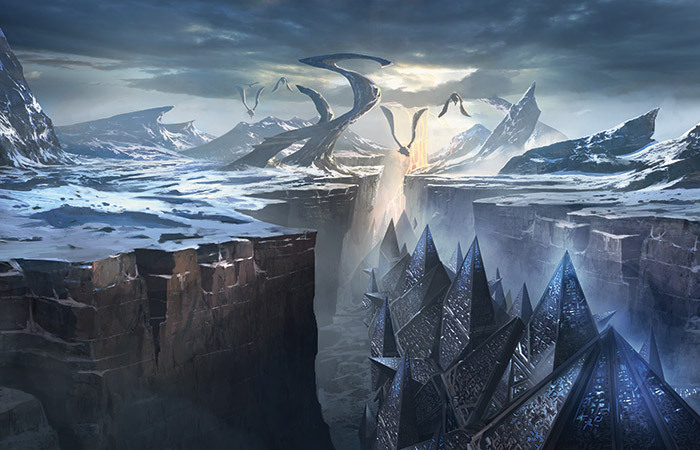 Sarkhan's and Narset's paths cross, and they learn from one another about the nature of Ugin. Narset leads Sarkhan to the Nexus, the tomb of the Spirit Dragon. Zurgo ambushes the pair, and Narset stays behind to hold Zurgo off so Sarkhan can reach the Nexus. Zurgo overpowers Narset, killing her. Sarkhan realizes that the best way to honor Narset's sacrifice is to take the next step on his journey. Swearing vengeance on Zurgo, he steps through the gate. After passing through the Nexus, Sarkhan finds himself in a half-familiar world—Tarkir, but not quite his Tarkir. Worse, the voices in his head have finally fallen quiet—at the moment when he actually wants Ugin's guidance. Soon, however, he finds guidance of a different kind when he sees a dragon tempest, a storm that spawns dragons. He realizes the truth: he has traveled into Tarkir's past—1,280 years, though Sarkhan doesn't know the exact span—back to before whatever calamity ended the tempests. Sarkhan witnesses the dragon Atarka assert dominance over her new broodlings, then sees a woman—whom he will soon learn is the ancient Temur khan, Yasova Dragonclaw—attack the dragons and scatter Atarka's broodlings. She represents the strength of humans who must contend with dragons, and Sarkhan realizes that this is a new beginning—a chance for Tarkir to become the world he had always hoped for; and for Narset's fate, and Ugin's, to be reforged. The Planeswalker's Guide to Fate Reforged contains information on the world of Tarkir's past, descriptions of the five clans and how they survive dragon attacks, and write-ups about the five largest dragons and their broods; as well as a Planeswalker bio of Ugin, the Spirit Dragon. 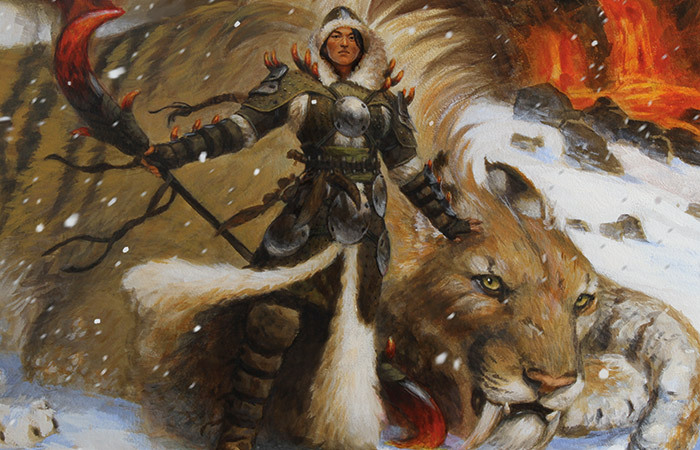 Sarkhan tracks a woman he sees up into the mountains…and is ambushed by her saber-toothed cat. He learns who she is, and she chastises him for calling himself sar-khan, which means "great khan." He notes that she's leaving a trail of markings scratched into rock with her spear, but she declines to explain. He tells his story, truthfully, and she comes to accept that he is from the future—what the Temur know as the "unwritten now." In time, she reveals that she is following a vision of her own, one given to her by none other than Sarkhan's hated foe, Nicol Bolas. The strange markings are somehow connected to Bolas, leading him to Ugin. Realizing he may already be too late to stop Ugin's defeat, Sarkhan transforms into a dragon and flies away. Still in dragon form, Sarkhan arrives in time to witness the titanic battle between a living Ugin and Nicol Bolas. The two elder dragon Planeswalkers unleash world-shaking magic, and the chasm in which Sarkhan found Ugin's bones is formed during the fight. 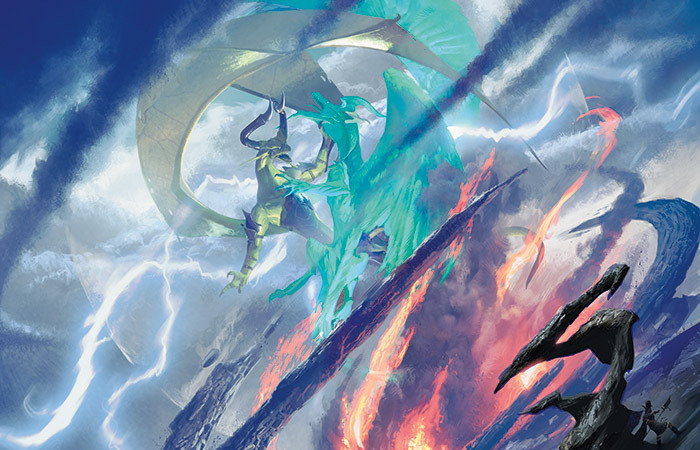 Ugin summons countless dragons to attend him, but Yasova—with a boost from Bolas—turns the dragons against Ugin with a massive mind-control spell. Rather than be forced to attack Ugin, Sarkhan turns back into a human in midair. 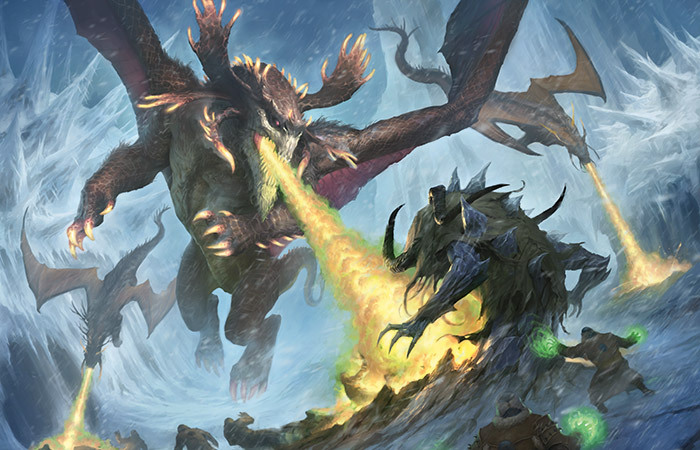 Bolas strikes Ugin down as Sarkhan tumbles into the snow. Yasova heals Sarkhan, hoping he can answer her questions, but he blasts her with dragonfire and runs for Ugin's fallen body. Sarkhan works magic on the hedron shard he still carries, and the shard multiplies, weaving a protective stone cocoon around Ugin. His task in the past completed, Sarkhan is whisked back to an altered present, leaving a bewildered Yasova and a healing Ugin behind. In the original timeline, the dragon tempests ceased after Ugin's death, and the khans hunted the dragons to extinction. 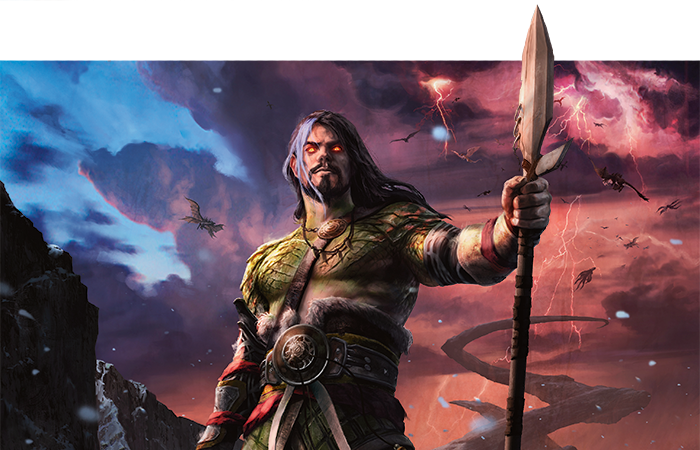 With Ugin injured but alive, the storms intensify—a sort of immune response that will alter the course of Tarkir's history dramatically. Alesha, young khan of the ancient Mardu, fights against dragons with her horde. She draws strength from her warname—her grandmother's name—and teaches an ignorant young orc a lesson about identity, heroism, and truth. Tasigur—the vain, cruel, arrogant child-khan of the ancient Sultai—weathers an assassination attempt, but goes too far in his thirst for revenge. He earns the ire of a powerful rakshasa, one of the tiger-demon puppetmasters of the Sultai, and is abandoned by both the rakshasa and the snakelike naga. Months pass, and the Sultai suffer vicious dragon attacks that they're no longer able to stop. In desperation, Tasigur seeks out the dragon Silumgar and offers a terrible bargain: his allegiance for the dragon's assistance. Faced with intensifying dragon tempests and the ever-greater organization and power of Dromoka's brood, Abzan khan Daghatar is out of options. He consults with the Remembrance, a mace imbued with the ancestor spirits of countless fallen Abzan. The Remembrance urges him to endure at any cost—to fight until the end. Daghatar parleys with Dromoka, seeking an end to hostilities. Through a translator, Dromoka informs him that this will not be possible until his clan gives up the worship of ancestors, which she refers to as necromancy. Realizing that there is only one way forward, Daghatar destroys the Remembrance and orders that the practice of necromancy be abandoned, pledging himself and his clan to Dromoka's service. Shocked by Daghatar's unprecedented turn, and under pressure from the intensifying tempests, Jeskai khan Shu Yun convenes a meeting at Dirgur Stronghold of all five khans: himself, Alesha, Yasova, Tasigur, and Reyhan (the khan of the remaining free Abzan). Shu Yun's scribe, Quan, records the proceedings. 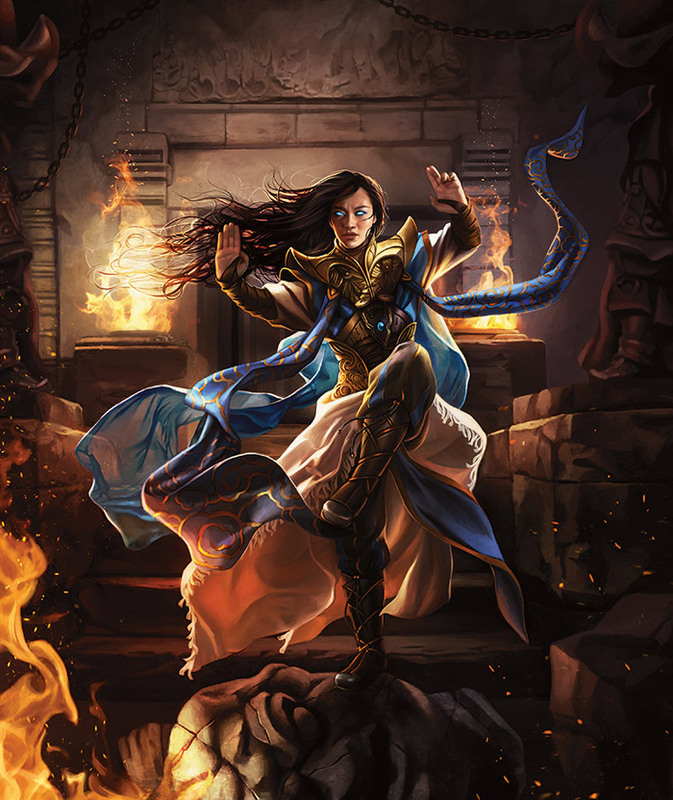 Yasova reveals her role in the storms' intensification and tells the group about Sarkhan and the fight between Ugin and Bolas. The summit is interrupted by a dragon assault, as flights of dragons led by Silumgar and Ojutai assault the stronghold. Tasigur flees, and the other khans realize that he betrayed them to the dragons. Shu Yun leaps from the tower carrying Quan's account of the meeting, killing a dragon on the way down, and hides the scrolls in a secret place within the stronghold. He then confronts Ojutai, offering his own life in exchange for sparing his clan. Ojutai accepts his terms. Reyhan dies during the fighting to secure an escape for Yasova and Alesha, and Tasigur is carried back to the swamplands in the claws of Silumgar. We see the fates of the five clans in closing vignettes: the clans fall, but the people remain. Sarkhan awakens to an altered present, aware that many centuries have passed. He finds the hedron cocoon, worn by time, but is unable to revive Ugin. He isn't disappointed for long, however, as he is finally able to do what he once only dreamed of: fly through Tarkir's skies alongside flights of dragons. He encounters the dragonlord Kolaghan, recognizing that on his Tarkir her skull was the throne of the Mardu khan. He meets a goblin he recognizes as Ankle Shanker, but she calls herself Vial Smasher and does not recognize him. Not even his hated enemy, Zurgo—now reduced to serving as Kolaghan's personal herald—knows him. He seeks Narset in what he once knew as Jeskai territory, but Taigam—now an Ojutai monk—tells him that she is a heretic and is gone. Bewildered and alone, Sarkhan resolves to return to the canyon and seek out the only one who may be able to help him understand: Ugin himself. In another time, Narset lived as the Jeskai khan and died at the hands of Zurgo Helmsmasher. But that time is gone. In this time, dragons fill the skies of Tarkir, there are no khans, there is no clan known as the Jeskai, and Zurgo is a bell-striker. But one thing remains the same: Narset has a secret power burning inside of her—a restless potential that pulls on her, begging to be released. The first installment of the Dragons of Tarkir Planeswalker's Guide contains an introduction to the altered present of Tarkir and sections on the Ojutai and Silumgar dragon-clans. The second installment of the Khans of Tarkir Planeswalker's Guide contains sections on the Kolaghan, Atarka, and Dromoka dragon-clans. In the original timeline, Sorin Markov's quest on Tarkir ended ignominiously. Ugin was dead, and with him, in Sorin's view, any hope of stopping the Eldrazi. But Sorin has no memory of that visit—it literally never happened—and sets foot, for the first time, on a very different Tarkir. He finds his way to Ugin's canyon, which his guide calls the Haven of the Spirit Dragon. Worrying that the hedrons there may signal that Nahiri has been here before him, Sorin destroys the cocoon and awakens Ugin. Ugin has been dormant for over a thousand years, and Sorin relishes knowing more than the ancient dragon for once. Unfortunately, the news is not good: the Eldrazi are free once again. When Ugin asks where Nahiri is, Sorin evades, and Ugin grows irritated, saying: "Let me be clear. It must be the three of us. Whatever petty tiff you've had with her, or whatever matter it is you're hiding from me, resolve it. I do not wish to see your face without hers." Reluctantly, Sorin agrees to seek out Nahiri and meet Ugin on Zendikar to stop the Eldrazi. 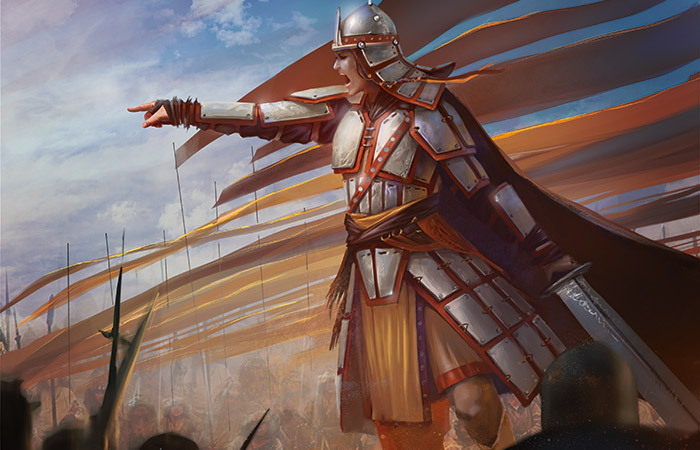 In the original timeline of Khans of Tarkir, Anafenza was khan of the Abzan, the stalwart ruler of an enduringly loyal clan. In the alternative timeline of Dragons of Tarkir, her fate has been less kind, but no less grand. 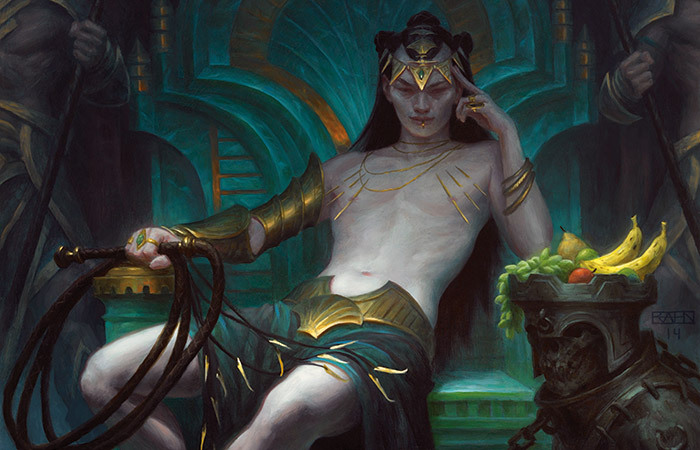 In the alternate world of Dragons of Tarkir, the naga Sidisi is no longer khan…and no longer living. Executed for plotting against the dragonlord, she now serves him as a zombie. But new maneuverings call her loyalty into question. 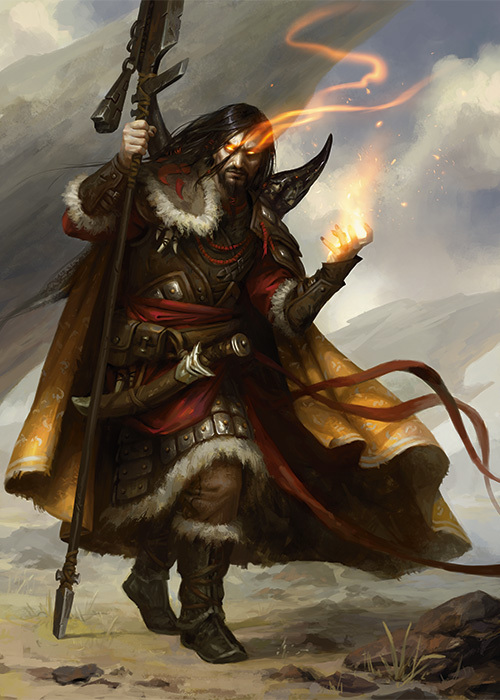 On another Tarkir, with a different destiny, the man called Surrak was khan of his clan. Savage, swift, and attuned to nature; he ruled the Temur by example. Times have changed, however—time itself has changed—and Surrak never lived that life. Now he is the Hunt Caller of the Atarka clan, who hunt to feed their dragonlord. If Surrak knew of this other fate, his original destiny as khan, he might prefer that life. But then again, he might not. Sarkhan Vol returns to the canyon where Ugin rests to find it guarded by dragon spirits, and the hedron cocoon destroyed. Sarkhan finds Ugin alive and awake, but Ugin has more questions for him than answers. Sarkhan reveals the involvement of Nicol Bolas in the Eldrazi's release, which seems to alarm Ugin. 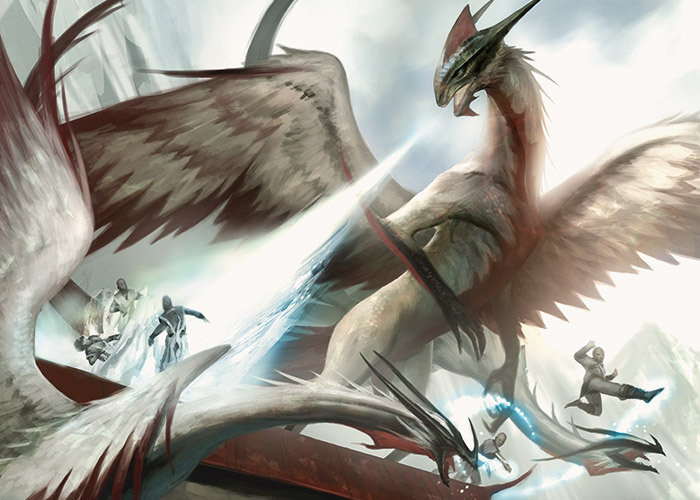 With Ugin's help, Sarkhan realizes the truth about himself: he exists in this timeline—he set the Eldrazi free—but in the history of this Tarkir, he was never born. Thanking Ugin for his insight, Sarkhan departs to look for Narset, reasoning that if she is truly an exile in this timeline, her quest for truth will once again bring her to the Spirit Dragon's domain. He finds her, and they recognize each other. She recognizes him as the "sar-khan" written of in ancient, forbidden texts. He recognizes her as his friend Narset, but not—a Narset who has lived a different life. He soon learns that she is a Planeswalker, and asks whether she plans to leave Tarkir again. She replies that Tarkir holds plenty of mysteries, and both Planeswalkers agree that they are exactly where they wish to be. Time travel is always confusing, and the rules in this case are a little different than previous instances of time travel in Magic owing to the unique circumstances of Sarkhan's journey. For example, only objects made of silver could pass through the time portals created by Urza Planeswalker—a restriction that doesn't apply here because the time portal was created naturally, by Ugin's death, rather than artificially. So, to paraphrase the questions we've gotten during this block, what the heck just happened, and what does it mean for the Magic storyline as a whole? 1. Khans of Tarkir never happened. This is the most obvious and lasting effect of Sarkhan's actions. Although the cards certainly still exist, the setting of Khans of Tarkir has been erased from history, along with all of the stories that took place there. (Although "The Lithomancer" ran during the Khans of Tarkir storyline and appears in the Khans of Tarkir section above, it was a flashback that takes place long before Sarkhan's change to history, and is therefore unaffected.) There was no Zurgo Helmsmasher, no Dragon Throne of Tarkir, no Surrak Dragonclaw. Sorin's visit to Tarkir never happened—he doesn't remember finding Ugin's bones, and Ugin was never dead. 2. Fate Reforged did happen, but most people on Tarkir don't know about it. The five original clans—the same clans from Khans of Tarkir—did exist in Tarkir's past, as seen in Fate Reforged, but the dragonlords have outlawed or stamped out nearly all knowledge of them. 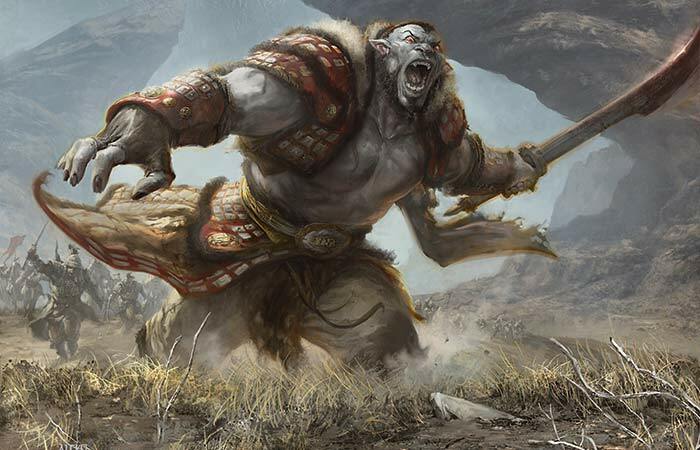 Narset, Sarkhan, and Ugin are among the few people on Tarkir who know the names of the original clans. 3. Dragons of Tarkir is the true and final timeline. Other than Sarkhan Vol, no one anywhere in the Multiverse has direct experience with the timeline of Khans of Tarkir. As far as both Tarkir and the Multiverse are concerned, there's only one timeline, and it's this one. 4. Sarkhan Vol was never born. Although many of the same people were born in the alternate timeline—due perhaps to destiny, or perhaps to a sort of path of least resistance in history—Sarkhan Vol was not. Perhaps this was because he was involved in the change, and therefore, in a sense, already existed. He appeared one day on whatever world he first planeswalked to, remembering a full life history that never truly happened. There are different ways to look at this; one could say that he arrived from the alternate timeline, or one could say that he appeared out of nowhere, remembering a world that never existed. 5. The Eldrazi were still released. After his sudden appearance, Sarkhan went on to play a tangential role in the events of Shards of Alara block and a crucial role in the events of Zendikar block, not to mention precipitating the change that erased his own homeworld from history. Everything he did while away from Tarkir, and everything that resulted from that, still happened. 6. Ugin never died and is aware of the Eldrazi threat. Sorin Markov has awakened Ugin and agreed to meet him on Zendikar and deal with the Eldrazi. Tune in next week, when we turn the camera to other worlds in honor of Modern Masters 2015 Edition.